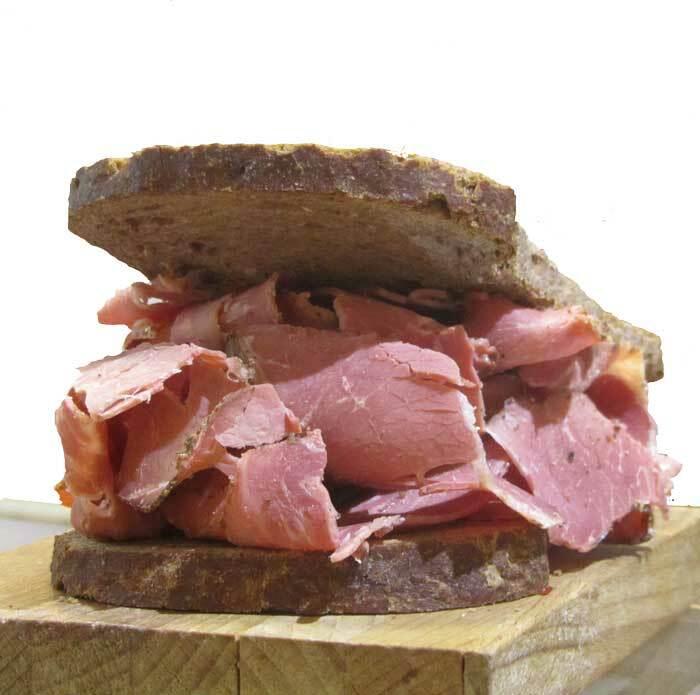 We present a new pastrami , flanchet is the raw material used ; we started a research always supported by production test and we got a result that we consider excellent inaugurating the pastrami . 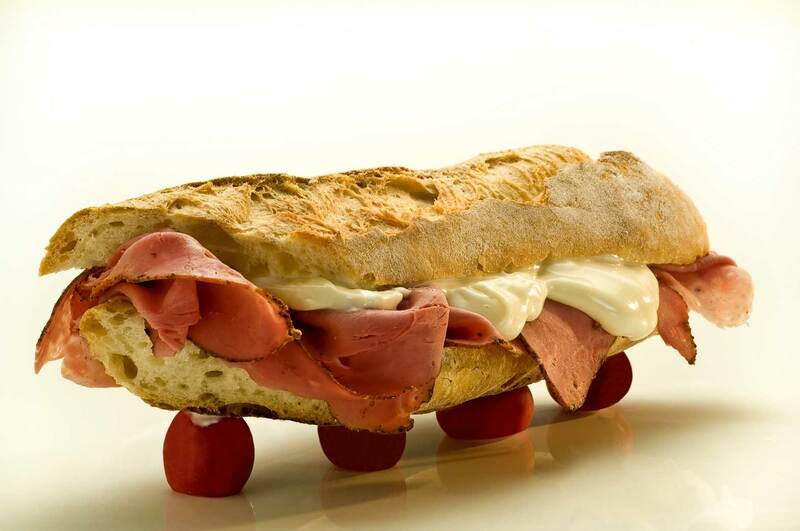 3 oz Pastrami baguette bread mayonnaise q.s. 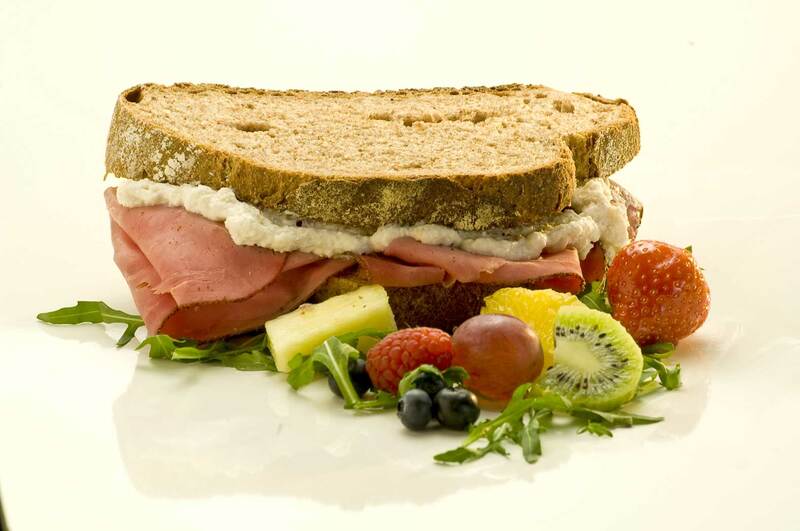 PREPARATION Spread on a slice of bread, mayonnaise and garnish with slices of pastrami. 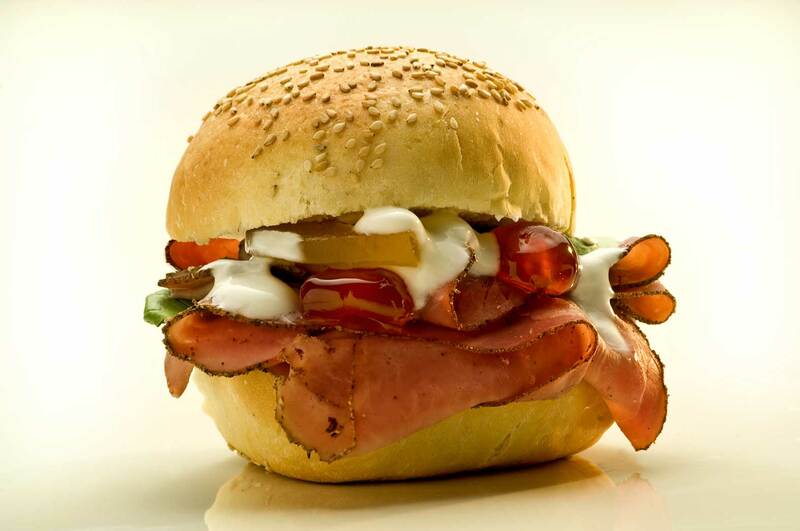 Cover the bottom with yogurt, sprinkle the Garlic Yogurt on Orsino and stuff with slices of pastrami. 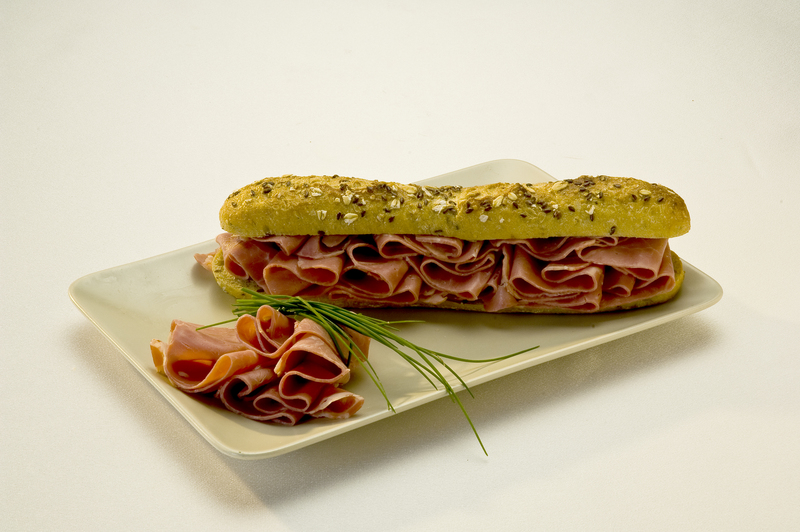 Close and serve. 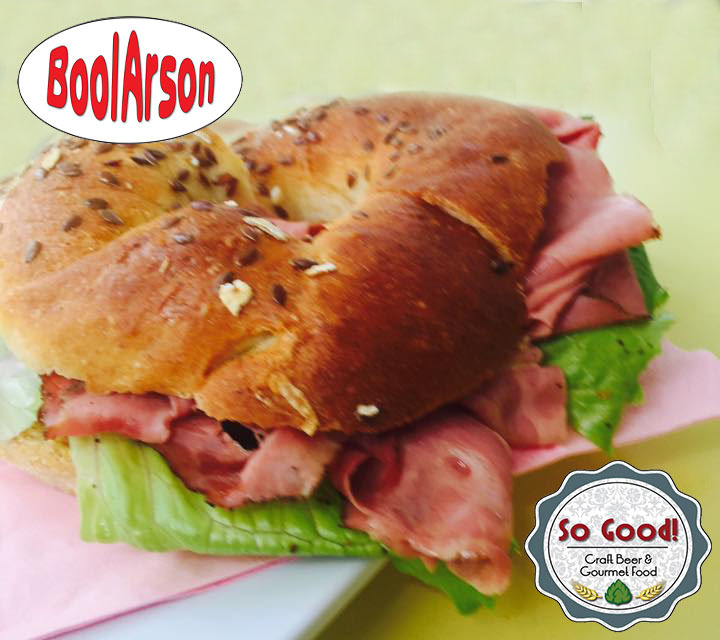 INGREDIENTS 3 oz Pastrami 2½ oz black bread 2 slices horseradish sauce q.s. 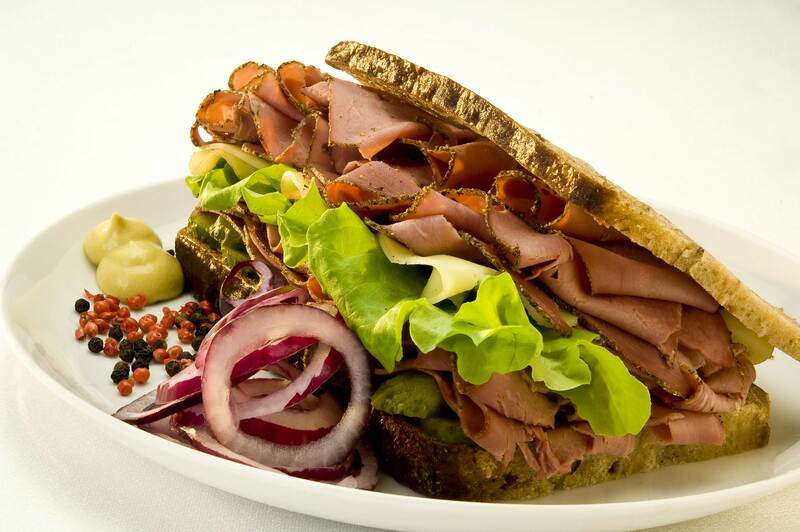 PREPARATION Spread on a slice of black bread with horseradish sauce and garnish with slices of pastrami. Close and serve. 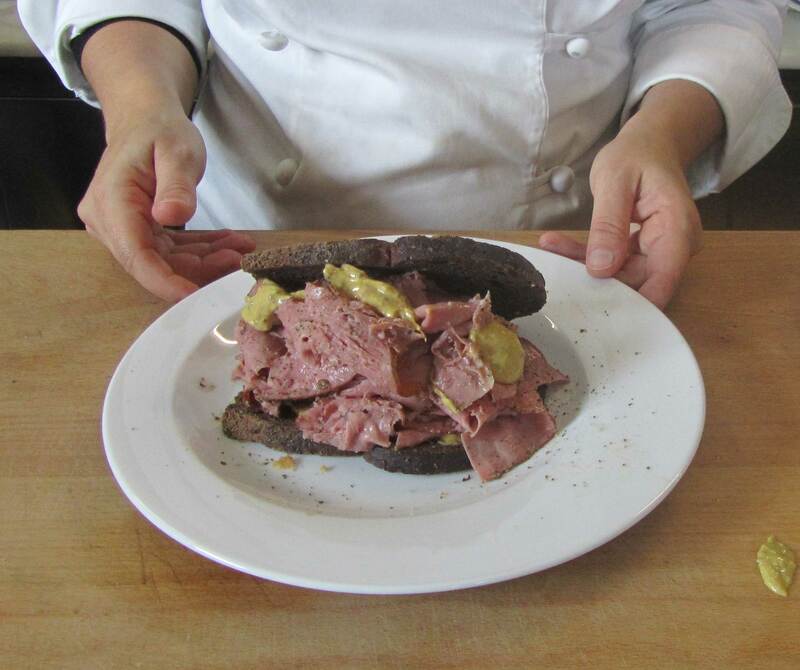 Slices of black bread, pastrami warmed steam with vegetable broth, mustard crafts, oil and a pinch pepper. Enjoy your meal!